When a child discloses abuse, parents and caregivers often feel at a loss. They are scared about what to do next, and how to help their child. CACs give families information about what a child may need after a disclosure - and what families can do. 97% of caregivers seen at a Maine CAC felt that the CAC provided them resources to support their child and respond to their child's needs in the days and weeks following the disclosure. Part of what can be scary is not knowing what is going to happen at the appointment. CAC staff make sure that families' questions are answered and that they know what will happen next. 98% of caregivers seen at a Maine CAC agree the process for interviewing their children at the center was clearly explained to them. The CAC staff are absolutely amazing and extremely helpful. Their work is priceless. It has helped me in many cases and I wouldn’t have a good case without them. CACs coordinate what is called multidisciplinary teams, or MDTs. These MDTs are made up of law enforcement, child protection, prosecution, mental health, medical and victim advocacy, and others. 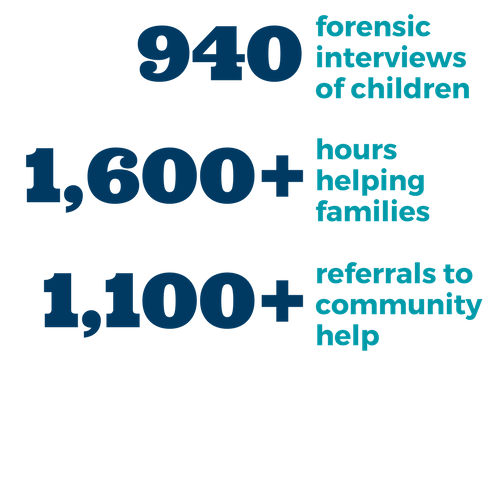 The goal of the MDT in each case is to make sure all team members have the information they need to make sure they can prosecute a case - with less trauma for the children and families involved. Maine's CACs start out as MDTs and are built around the idea that children and families deserve support and that offenders should be held accountable. The MDT grows, makes sure it works well together, and then becomes a CAC that serves children and families.